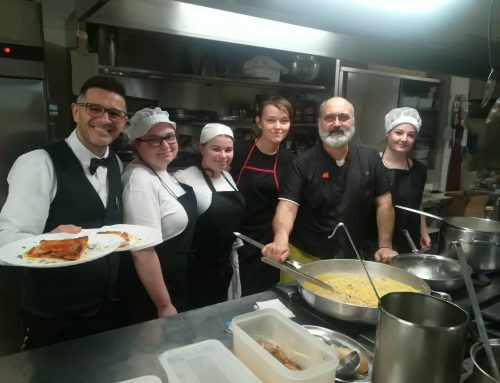 Imagine an innovative learning path allowing VET students and apprentices to discover the secrets of Italian and French cuisines. This is IMPACT, the new Alcotra project of APRO Formazione and Faculté des Métiers – École Hôtelière of Cannes. Attending a binational learning path designed for both Italian and French future cooks. In this way, we can summarize IMPACT, the new Alcotra project lead by APRO Formazione, which has been presented in Cannes on Friday June 29th. 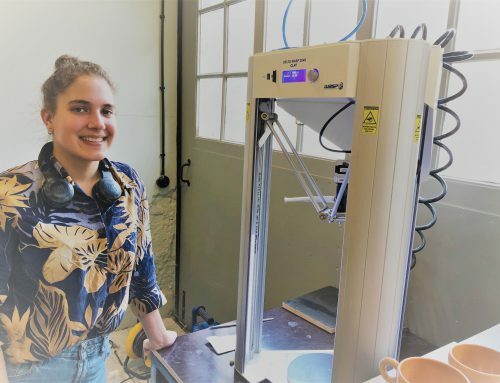 The launching seminar at the Faculté des Métiers – École Hôtelière in Cannes has been the occasion to illustrate the objectives and activities of the project, as well as its impact on the two territories involved. For this reason, the Tourist Board of Langhe and Roero territory and the National Centre of Truffle Studies also took part in the event. 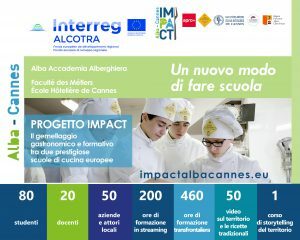 From September 2018, IMPACT will involve the students of ALBA Accademia Alberghiera and the apprentices of the École Hôtelière of Cannes in a new and innovative bi-national training path in cookery. The course will be characterized by an important use of digital teaching methods (live-streaming lessons, distance training courses, video pills, webinars), internships in restaurants both in Alba and in Cannes, participation in seminars, competitions, events in France and in Italy. Translated into numbers IMPACT is: 80 students, 20 teachers, 50 companies and local actors involved, 200 hours of streaming lessons, 60 hours of storytelling about the territory, 50 videos about the territories of Alba and Cannes, 160 hours of internships abroad, 70% of students employed at the end of the project. After the launching seminar in the morning, the thematic seminar dedicated to the typical products of Alba and Cannes followed in the afternoon. The objective of this second part of the event was to reflect on how the valorisation of typical products in local restaurants can become the driving force behind the development of a territory. The IMPACT project is funded by Alcotra, the cooperation program between the Italian and French Alpine regions, promoted by the European Commission. The program was born in 1990 and since its establishment has financed around 600 projects. Become a Digital Competence Facilitator!